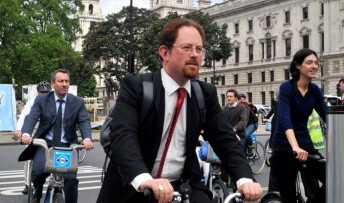 MP Julian Huppert has welcomed news that the Tour de France is coming to Cambridge saying it is a “momentous honour and opportunity for the city”. Julian, who has been elected vice-chair of the All Party Party Parliamentary Group for the UK Tour de France, said the occasion will bring huge recognition for Cambridge when the race comes to the city on July 7, 2014. “This is great news, a momentous opportunity for Cambridge and huge recognition for our city on the world stage,” he said. “We pride ourselves on being an important city for cycling and this decision has endorsed that. This event will be watched across the world putting Cambridge firmly in the spotlight. “Nationally, 2012 was an outstanding year for British cycling marked by the victory of Bradley Wiggins in the Tour de France and winning Olympic gold. At the same time, our government has demonstrated its commitment to cycling with new investment both nationally and in our city. a reduced volume of post is being delivered ?